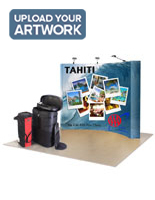 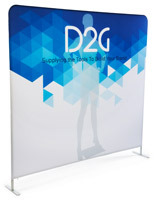 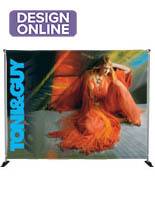 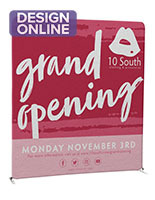 Using a dye-sublimated custom graphic for a high-quality and long-lasting appearance, this curved display wall with printing is ideal for use as a booth backdrop or an event step-and-repeat. 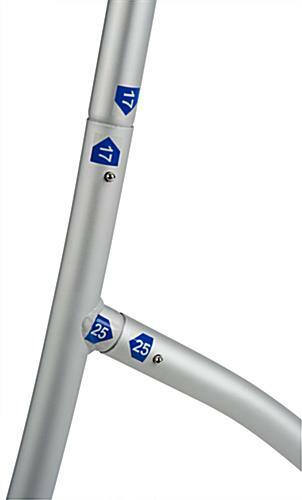 The lightweight aluminum pole frame takes minutes to assemble, with numbered stickers and push buttons to streamline set-up and break down. 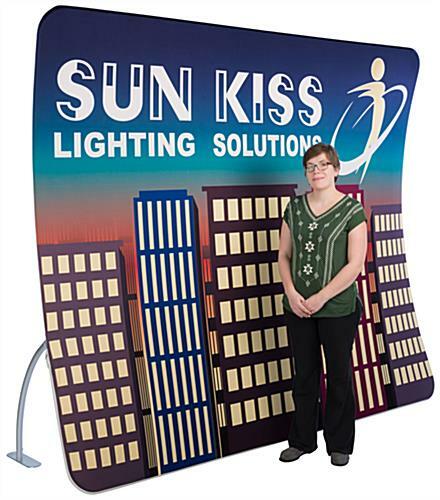 Standing at 7.5’ and with a nearly 10’ width, this trade show display wall offers an impressive size that will help your booth pop-out in a crowded event. 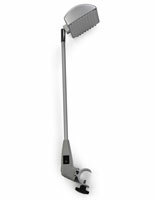 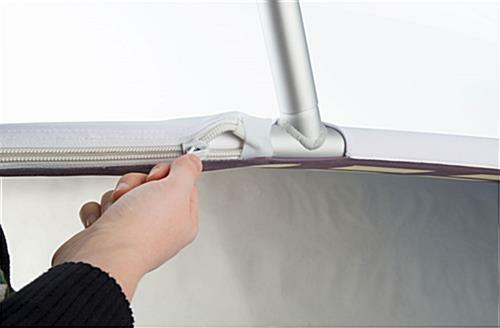 As well, the fixture features a unique bent shape that will draw a viewer’s eye while enhancing your custom artwork. 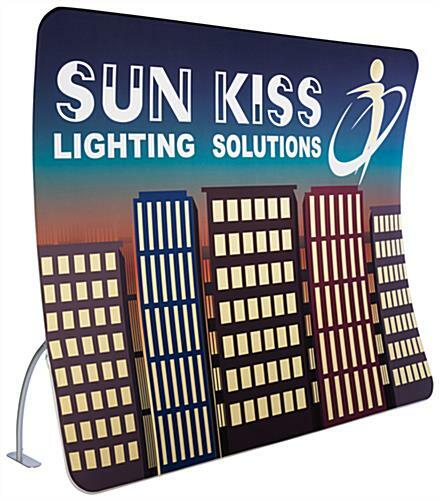 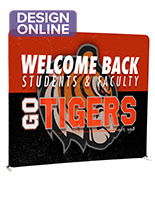 Zipping along the bottom of the floor-standing unit, the single-sided graphic is made with high-quality fabric that stretches across the frame without the colors losing their vibrancy. 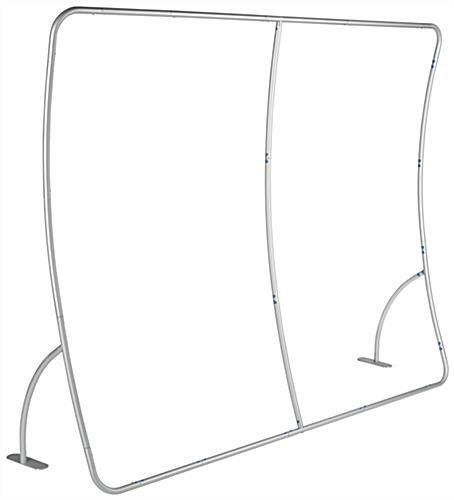 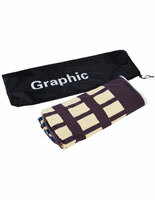 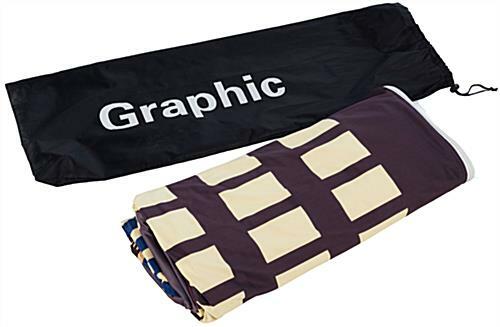 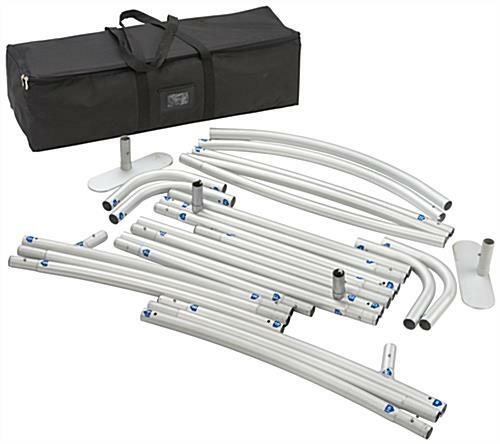 At the end of the event, each pole easily pulls apart and packs away in the carrying bag, ensuring that the backdrop parts stay together while helping to cushion them during transport to minimize damage. 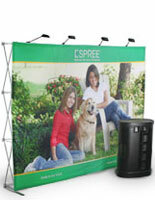 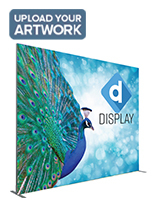 Enhance your next expo with the ease and beauty of this display wall! 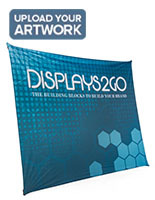 108.3" x 89.8" x 31.9"
9.9" x 9.9" x 33.5"